Distinguish yourself with an Acellus Certification. Learn best practices for integrating Acellus into your classroom. 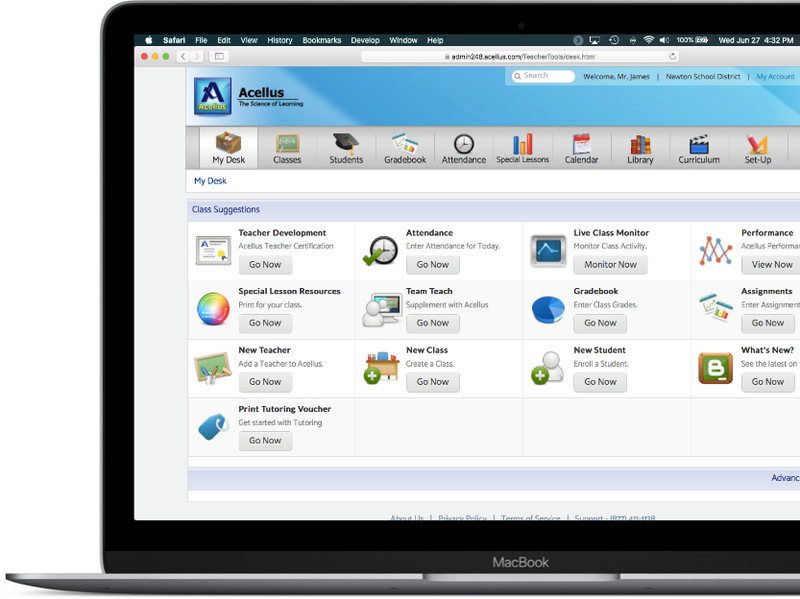 Developed for teachers using Acellus in their classrooms, this online course introduces teachers to numerous tools and features of Acellus. Participants will be taken through the step by step process of getting an implementation up and running while learning about the Acellus Core Technologies. Educators can access this course by selecting Teacher Development on My Desk of the Teacher Interface. Attend Acellus Educator Training to become an expert. The Acellus Educator Training is an extensive certification and training event that is designed to empower administrators and teachers to effectively deploy web-learning programs. This three-day training is held at the Institute Science Technology (IST) in Kansas City. Educators attending will learn effective strategies for deploying Acellus in diverse programs, including credit recovery, special education, remediation, gifted, and advanced placement. They will also be trained on best practices for effectively managing and operating blended learning deployments. It is recommended that districts have at least one Acellus Educator Training recipient at each school in the district. Attendees who demonstrate proficiency in setting up and configuring Acellus deployments will receive the Acellus Administrator Certification from IST. This certification indicates educators who are prepared to help maintain a school or district implementation of the Acellus Education System and to assist teachers with Acellus class setup and management. I've been to many trainings in the past 18 years in education and this is the BEST of them all! All the extras made me feel at home and all the staff was always so nice! The training was very engaging, fun, and informative. I really enjoyed the facilitation style of the training team. Time given to collaborate with other trainees and coordinators was wonderful. Love the team approach to competitions. Food was wonderful and hot! Sufficient breaks and plenty of refreshments. Overall a very welcoming experience with rich content. The training was very informative! I knew a little bit about how to set everything up for my classes, but I liked that the trainers went into depth about all aspects of set up. Trainers were very knowledgeable and had answers for all questions! Good job! Overall, this training was very relevant and timely for me and the team that came with. There is so much to take in, but the pace of learning was perfect. Absolutely loved the staff! Extremely knowledgeable and helpful. I very much needed the multiple day training to fully understand this program. Acellus is, by far, the most complete and professional program I have ever been involved in with education. Well Done!! Our use of Acellus has allowed our students to become more engaged and interested in their own education and development. The Acellus camp has allowed me to share additional applications for use in our school programs. I really liked the group and individual interactions throughout. 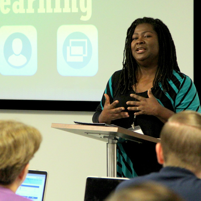 Learn to conduct your own Teacher Development at this advanced workshop. Open only to previously certified Acellus Administrators, this hands-on workshop will help you take a proactive approach with your Acellus implementation through data analysis, professional development, and class optimization. It was very beneficial to have an advanced training. This more in depth training allowed experienced Acellus Administrators to polish and improve our skills. It helped to share ideas and awesome practices of the usage of this program.